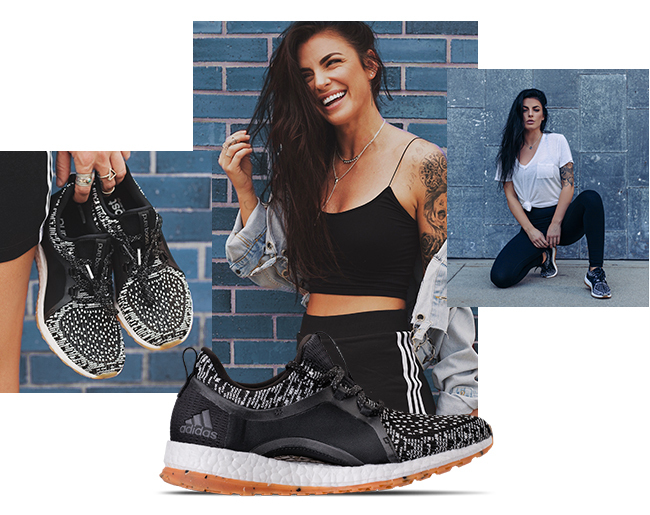 As a sneaker designed specifically for the ladies, we looked to our Finish Line Women to show off the adidas PureBoost X ATR. Showing off their sport-luxe fashion while enjoying the comfort of Boost technology, @evannclingan, @_modernfit, @kylierae and @sillygirlcarmen make it easy to love this adidas style. A breathable mesh upper not only allows great flexibility for your hard working feet, but with different colorways, the contrast of different shades also bring workout or street threads together. 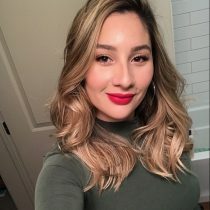 @evannclingan loves more color, and her fitness look is rockin’ just that. @_modernfit allows her confidence to be front and center when showing off her personal style. 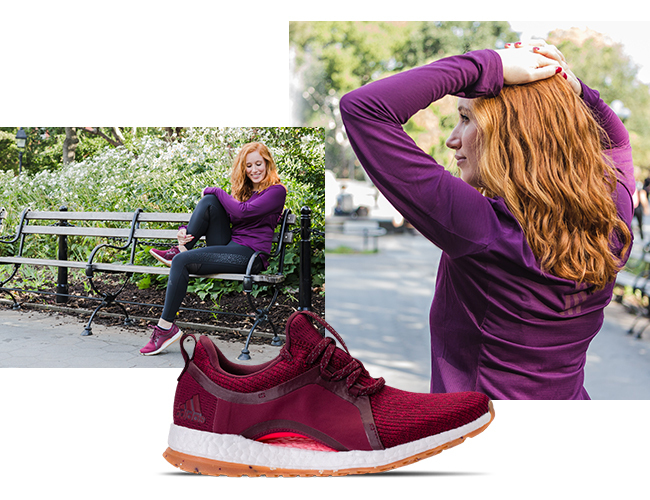 As an individual who always strives to be a better person than the day before, the PureBoost X ATR is a great option to keep Michelle’s feet happy with a busy schedule. A little bit of street are the vibes we’re feeling with @kylierae. Leggings or skirt, we love these comfy, put together looks. For a girl who wears sneakers 24/7, this is athleisure at it’s finest. Comfy, sporty and ready for anything. @sillygirlcarmen is rockin’ the black and white PureBoost X ATR in matching style with her adidas tank and black leggings. Keep up with our Finish Line Women on Instagram and shop the adidas PureBoost X ATR at finishline.com.